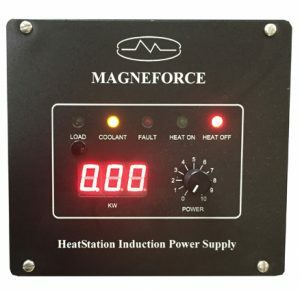 Induction Heater Controls | Magneforce, Inc.
Controls are used to turn heating on and off, set power level, set heating time, set process temperatures and verify the heating process. Power can be changed on the fly during the heating cycle based on programmed times or temperature readings. 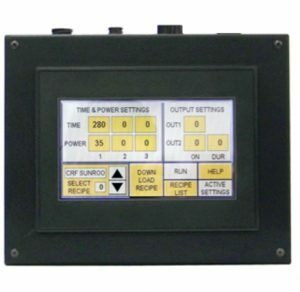 Manual controls such as on/off or power control foot pedals, push button and timer stations, built in two stage time and power panels, or PLC connection cables are available. Please call us to discuss the best configuration for your needs. 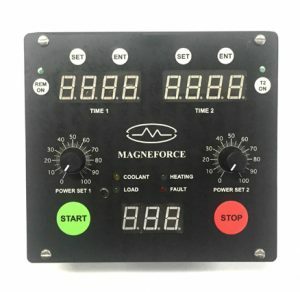 This control board has an active power display with two power adjustment knobs that set power levels and coordinate with two digital set timers. These digital set timers show total cycle time and power change time with timer countdown display. The control board includes indicator lights for coolant, poor load sensor with adjustment, heat on, fuse fault, ON/OFF push buttons, and a local/remote selector switch. The Panel is standard on HS2500R2C, HS5000R2C, and HS7500R2C. This control board has an active power display, power adjustment knobs, indicator lights for coolant, poor load sensor with adjustment, heat on, and fuse fault. The Panel is standard on HS2500R2, HS5000R2, and HS7500R2. Control cables for PLC or customer controls included with every unit. 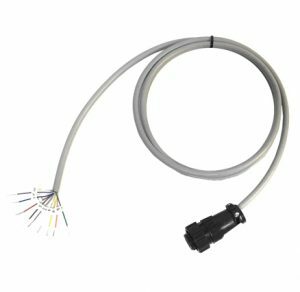 The cable provides control inputs for ON/OFF and power level based on a 0-10 volt analog input. A DC voltage output corresponding to .1 volts per 100 watts verifies heating power demanded is delivered. 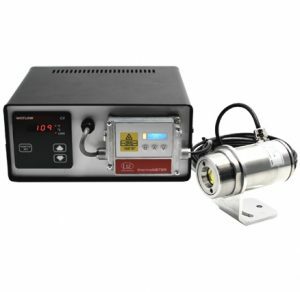 This control box allows for an adjustable time setting in selectable periods of 0.1 seconds to hours. Digital set potentiometer allows for power adjustment in 1% increments. Six foot control cable plugs into the control jack of HS1500, HS1500R, HS2500R2, HS5000R2 and HS7500R2 heaters. Input jack accepts foot pedal or push button controls or the standard control cable for ON/OFF functions. The control box allows the input of three power levels and three time settings per cycle. The control box Accepts 20 recipes. The touch screen provides ON/OFF operators and active process readouts during the heating cycle. Relay outputs are available for post heat cycle processes. This temperature controller has a type K thermocouple input. The controller shuts the heat off when the required temperature is reached or the controller cycles heat around a set point. 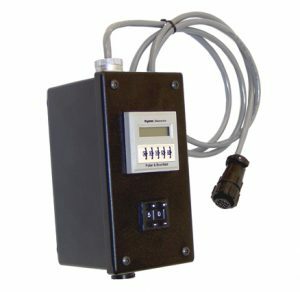 The controller accepts thermocouples or infrared thermometers. It is available for all power supplies. 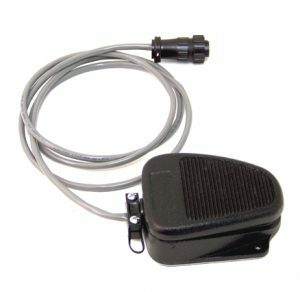 The twin foot pedal has an ON/OFF control for hands free operation. It can be used with the Time/Power Controller or HS2500R2C, HS5000R2C, and HS7500R2C. The on pedal turns the unit on for a timed or temperature controlled cycle. The off pedal interrupts the cycle and turns the machine off. 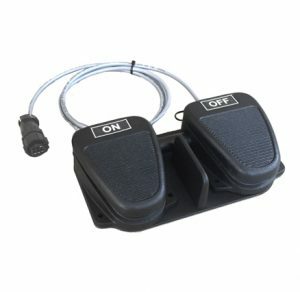 This foot pedal has an ON/OFF control for hands free operation. The pedal can be used with the Time/Power Controller or HS1500, HS1500R, HS2500R2, HS5000R2, and HS7500R2. 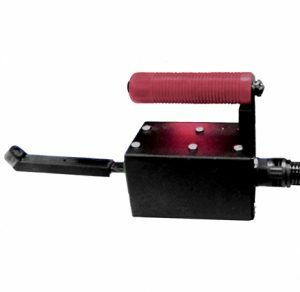 The handle attaches to the HS1500 remote transformer for hand held operation. It can be used on the HS1500R, HS2500R2, or HS2500R2C. 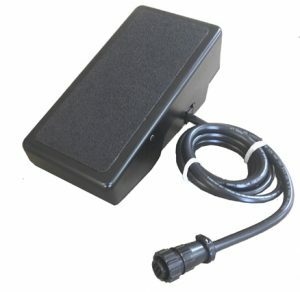 This power control foot pedal has an ON/ OFF control and power control for hands free operation. To turn on, depress at minimum power and fully depress for 100% power. Release for off. The spring action pedal works like the gas pedal on a car. 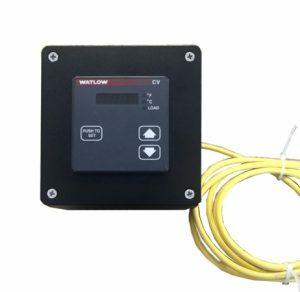 A Watlow controller provides a temperature readout and sets required temperature. A Micro Epsilon infrared thermometer with laser sighting measures the temperature and provides the in put to the controller. When set temperature is reached the heater will shut off and then cycle around a set point as required.